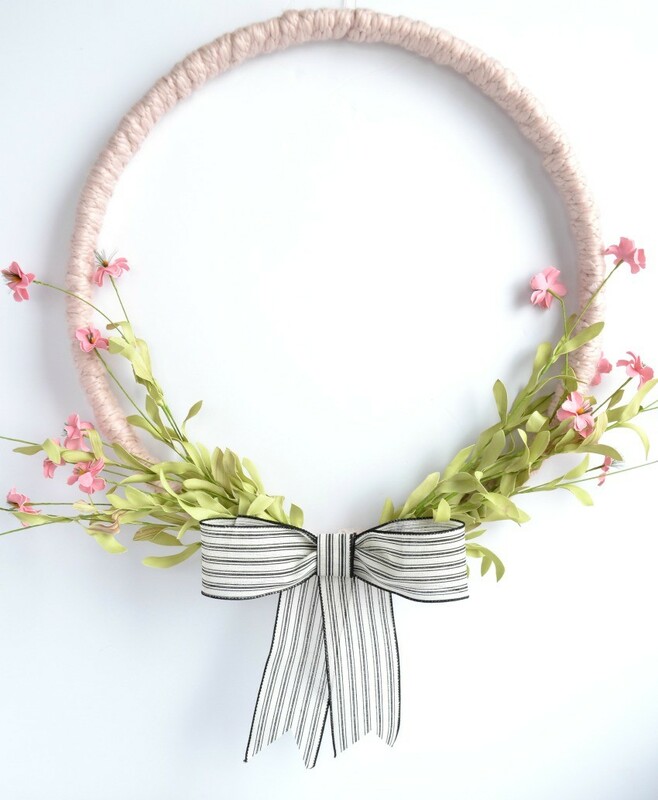 It’s hard to even think about spring right now with a foot of snow on the ground, but here we are and today I wanted to show this easy spring wreath that I made using some gorgeous thick yarn, some faux flowers, and a simple bow. 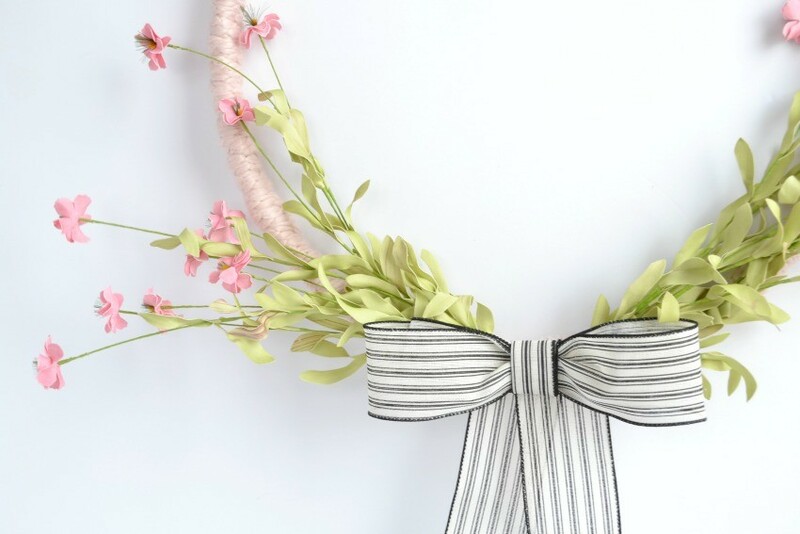 This simple wreath would also look nice as a Valentine’s Day wreath and the best part is when you buy the embroidery hoop to make it, you get enough for TWO wreathes…so you can make a second for a friend or you could make a different one later on in the year! 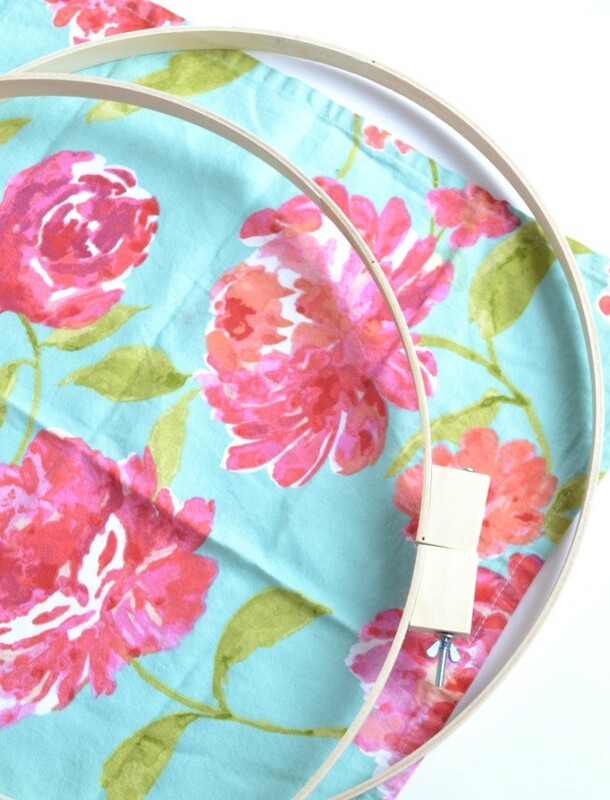 Start by disconnecting the inside and the outside of the embroidery hoop so that you have two hoops. Set one aside for another day. 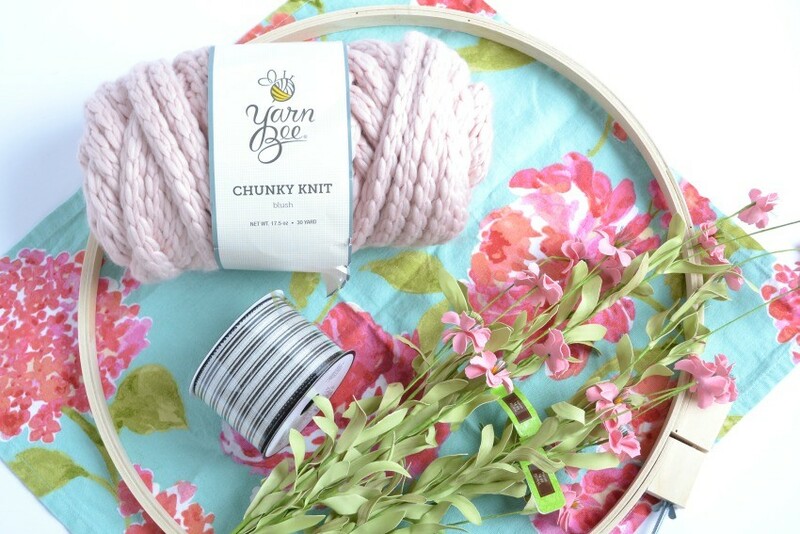 Find the end of your yarn and hot glue it in place to your embroidery hoop. 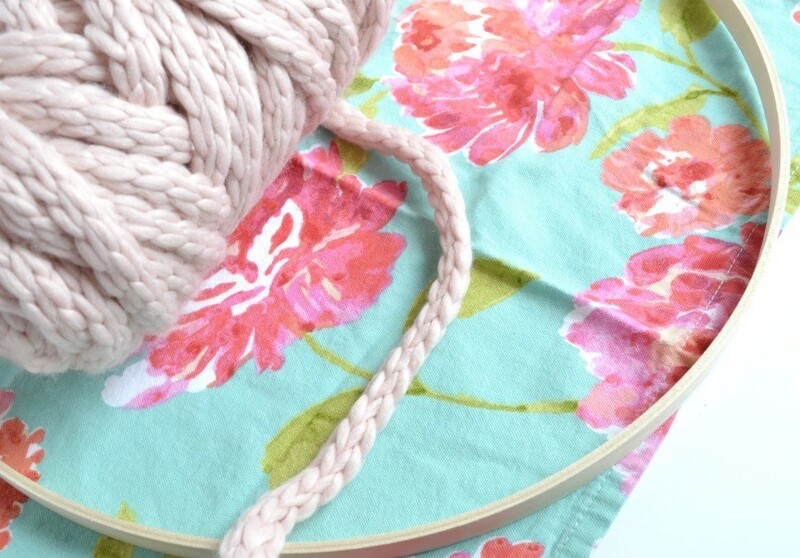 Next up, start wrapping your embroidery hoop until all sides are covered, then hot glue the end down once fully wrapped. 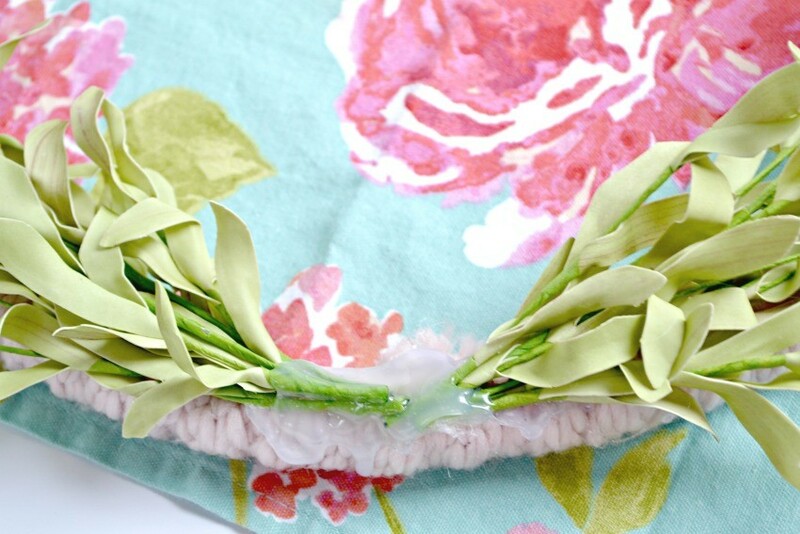 Next, I add my flowers by hot gluing them in place over the seams where the yarn meets and is already hot glued down. 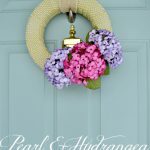 I added one stem of flowers to the right and another to the left, carefully spreading them out and layering them on the wreath. Finally, I add a bow. 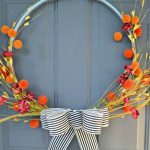 I really like adding an unexpected ribbon to the wreath to make it pop, so I chose this black and white ribbon with kind of a simple farmhouse look. 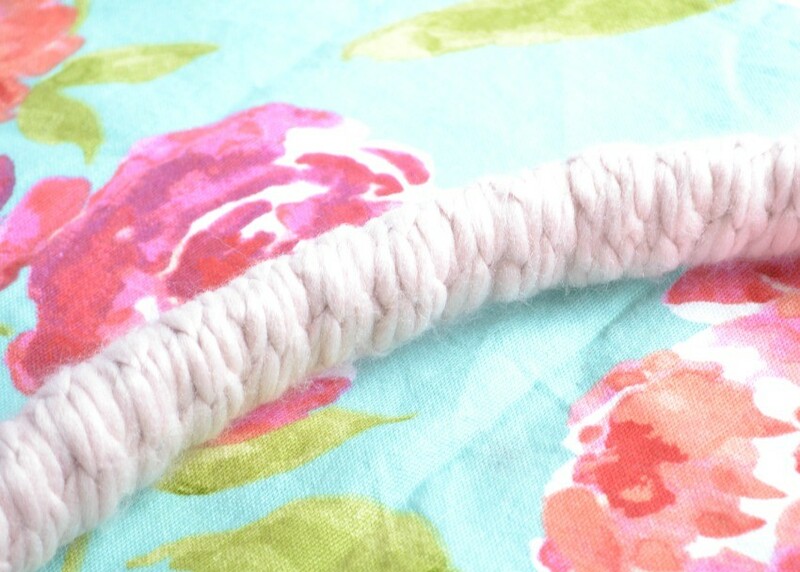 To make your ribbon, I start by pulling out about 12-18 inches of ribbon, then taking each end and bringing it to the enter to make a flat loop. I hot glue it in the center. 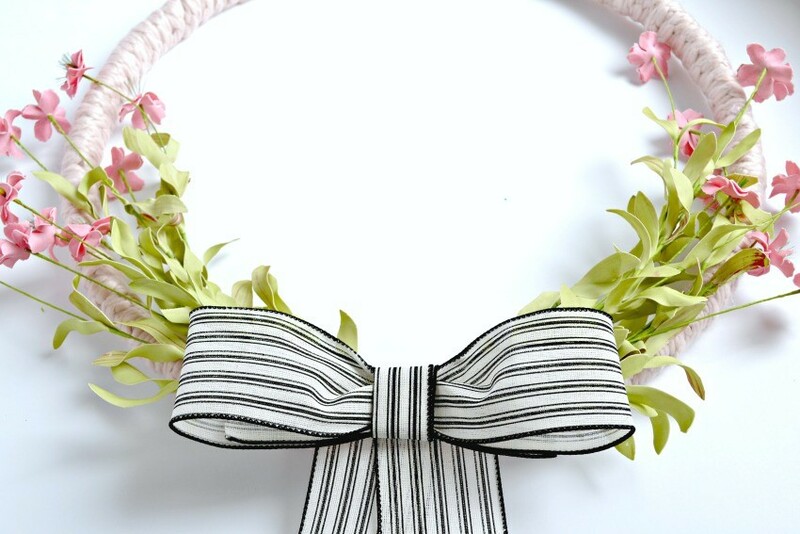 Then I cut a smaller 5 inch piece and fold it in half and I wrap it around the center of the loop I just created to create the bow. Finally, I got two longer pieces and glue them to the back of my bow to create the “tails” of the bow. It’s really quite simple once you de-construct it a bit and think through how to make it. 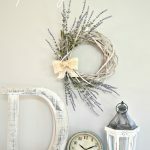 The whole wreath took about 25 minutes to make and I just adore it! 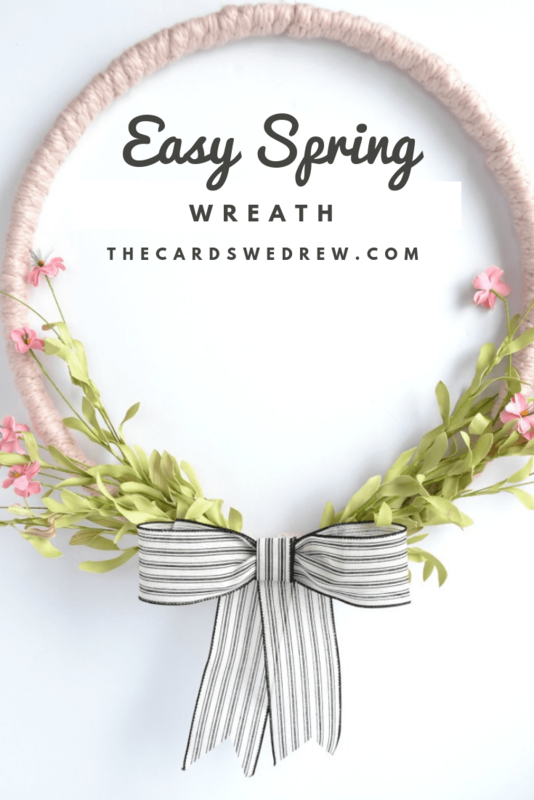 I hope you enjoyed this easy spring wreath tutorial!! 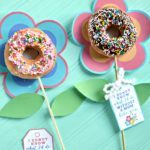 Here’s another Spring Wreath idea you may like!